The trailer for Nintendo Switch still left us with unanswered questions. Earlier today, Nintendo unveiled their upcoming gaming system, called the Nintendo Switch. Previously referred to by the code name NX, the Nintendo Switch is a gaming system that starts out as a fixed console and transforms to become a portable device for gaming on the go. The main monitor device rests in a dock that connects to your television, and can be removed to enable a portable mode that turns the device into a handheld with detachable controls. The Joy-Con controller itself also can also transform to serve multiple functions depending on how you wish to play. The gaming system was revealed in a nearly four-minute preview trailer that shows off the console’s detachable parts and functionality throughout various scenarios. 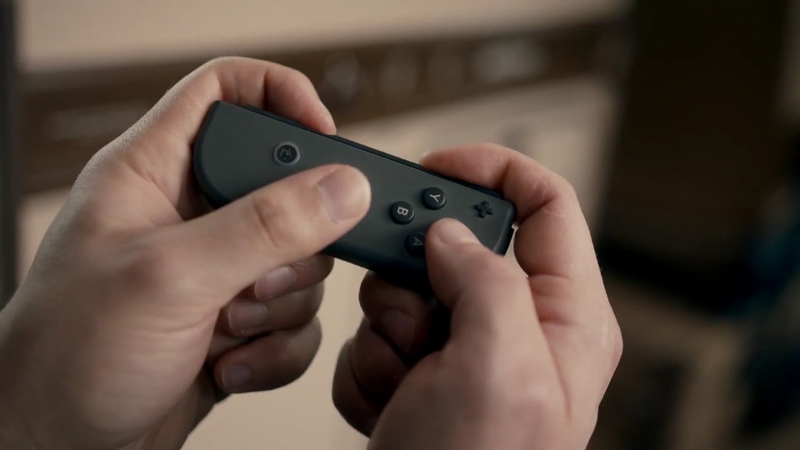 When not docked at home, the Nintendo Switch automatically switches to portable mode, where it can be played using the removable controllers. Beyond the trailer, there is still fairly little information circulating about the details of the Nintendo Switch and what we should expect from it. While the preview trailer does a good job at showing rather than telling, there are still some significant questions that have been left unanswered. We’ve listed several prominent questions below regarding the Nintendo Switch that many people want answered before fully supporting this new gaming system. Upon seeing the Nintendo Switch screen detach from its dock, the first thing that went through our mind was that this device would function like a tablet, with a touch screen for better functionality or maybe even a stylus. However, if the preview trailer is any indication, the Nintendo Switch only seems to work when using some sort of controller, and no one in the trailer actually touches the screen on the device. This doesn’t necessarily mean that it won’t have touch screen capabilities, but if it did, one would expect to see it shown in the trailer. Even the Wii U GamePad that came before it had a touch screen, so omitting it in the new system seems a bit odd. Perhaps the lack of touch capabilities has something to do with docking the monitor module at home. Given the fact that we live in a digital age surrounded by touchable, portable screens, a touchless tablet may have a hard time catching on. In recent years, gamers have encouraged Nintendo to support third party development teams for the sake of expanding the games available on their console. With the reveal of the Nintendo Switch, it seems that Nintendo is finally willing to broaden their scope by partnering with a number of external game development companies. This means that we can now anticipate a larger variety of games to choose from on the Nintendo platform from well-known publishers such as Bethesda Softworks, Activision, and many more. 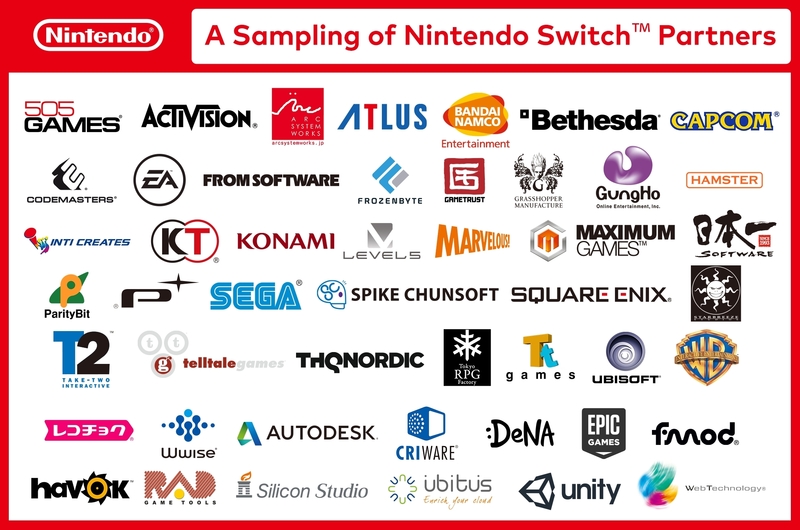 Although we can still expect to play some Nintendo franchise favorites on the Nintendo Switch like Zelda, Mario, and Splatoon (which are shown in the trailer), there will likely be an assortment of more well-known AAA titles willing to expand onto the Nintendo Switch, even exclusively. Pokémon will likely be a big selling point for the platform as well. It will be interesting to see what other IP’s might be coming to the new system. 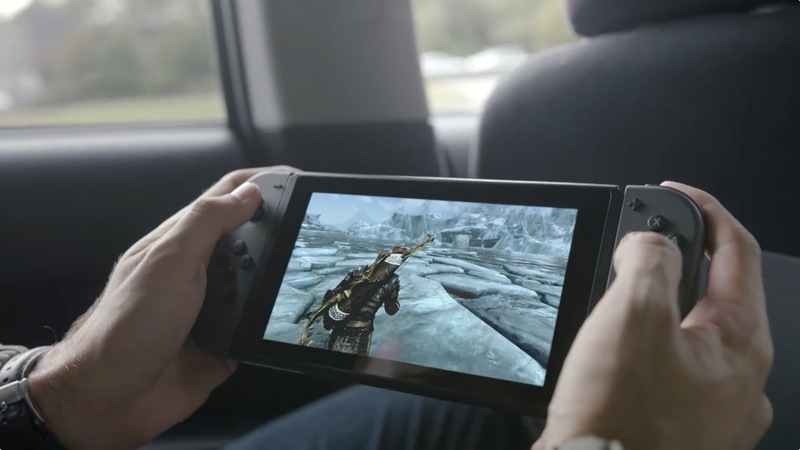 The trailer teases a glimpse of what appears to be Skyrim displayed on the portable screen, and given what we know about Nintendo’s partnership with various AAA game publishers, there will probably be some visually strong titles coming to the new system. This begs the question of how well this new gaming system will stack up against its contemporaries. According to an NVIDIA blog post, the Nintendo Switch will be powered by an NVIDIA Tegra processor and GPU that was designed “based on the same architecture as the world’s top-performing GeForce gaming graphics cards,” and will have custom software integrated throughout. While having strong processing capabilities seems promising, it’s difficult to tell how well the system will handle certain games overall, as this depends mainly on how well a game was designed for the hardware. Perhaps the NVIDIA technology will be easier for game developers to work with, considering how well known NVIDIA is to gamers and tech consumers alike. There’s also a possibility that the Nintendo Switch will support 4K and HDR, but this also depends on the resolution of the games themselves and that of the television screen they're played on. Will Nintendo Switch support backward compatibility? Given the differences between the Nintendo Switch and its predecessors, many are wondering whether previous Nintendo games will be backward compatible with the new system. 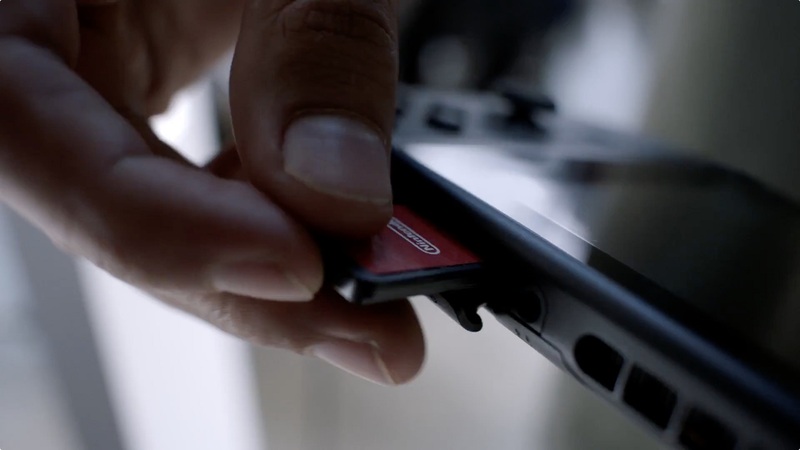 The trailer reveals that the Nintendo Switch will utilize GameCard cartridges similar to the DS, which raises the question of whether old DS and 3DS games will work in the new system as well. There doesn’t seem to be a physical disc slot on the device, however, which reduces the chance of being able to play old Wii U games. The switch to game cartridges over discs likely has to do with the system’s emphasis on portability, as cartridges hold up much better on the go. There’s still a chance for backward compatibility though, depending on what Nintendo does with digital purchases. How long is its battery life? A short battery life on a portable electronic device can quickly turn consumers off a product. With the Nintendo Switch in particular, a short battery life can also discourage players from using it outside the home, which is basically this console’s whole shtick. A long and prosperous battery life is crucial to all portable gaming devices, and given the heavy computing power that this console will have, it’s going to need an impressive battery to keep up. 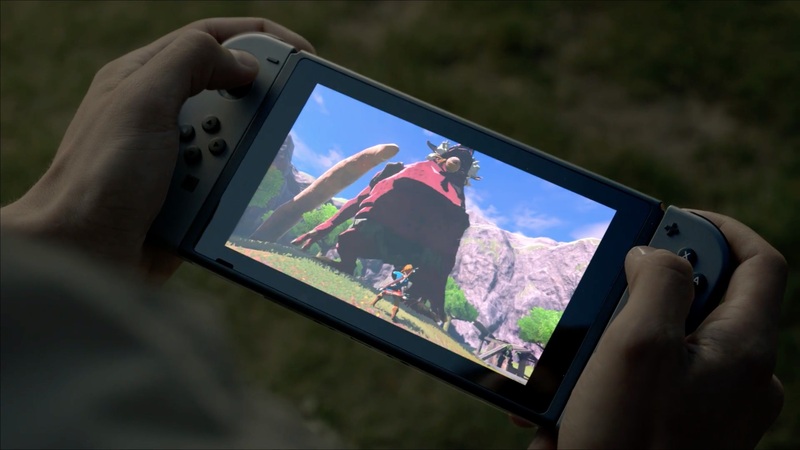 Running gorgeous games like Zelda, Mario and Skyrim could quickly drain the device’s battery before the player can really enjoy gaming on the go. Will it support video streaming? Considering both of the previous Wii consoles supported streaming from apps like Netflix, it seems reasonable to have the same streaming capabilities on the Nintendo Switch as well. This would mean that the device would need WiFi connectivity and the long battery life that we mentioned, which is totally do-able if the device is designed with streaming in mind. There was no indication in the trailer footage of the system being used for anything other than gaming, but perhaps this functionality will be integrated without consumers having to ask. One of the major factors in deciding whether to upgrade to a new console is the price. There has been no price announced for the Nintendo Switch yet, but for context, the Wii U cost about $299.99 USD at launch for the Basic Set, and $349.99 USD for the Deluxe Set. Given the fancy technology housed within the Nintendo Switch, it seems likely that they could try to justify a somewhat higher price tag. Then again, being portable runs the risk of losing the main device, which basically would mean losing your entire home console, a risk that stationary consoles rarely run into. With that in mind, perhaps the Nintendo Switch will be priced a bit closer to its handheld sibling, the 3DS. There's another five months until the scheduled launch, so we probably will hear word of potential prices and pre-order deals near the holidays. These are only a portion of the slew of questions surrounding the Nintendo Switch at the moment. We will be sure to report on any answers to these burning questions as new information becomes available. One thing that we do know is that the Nintendo Switch is scheduled to be released sometime in March 2017, so we will be anxiously awaiting more juicy details until then.